A photo of a jar of Vegemite has caused online outrage, with the national treasure appearing to be sold for a highly inflated price at a Sydney airport shop. 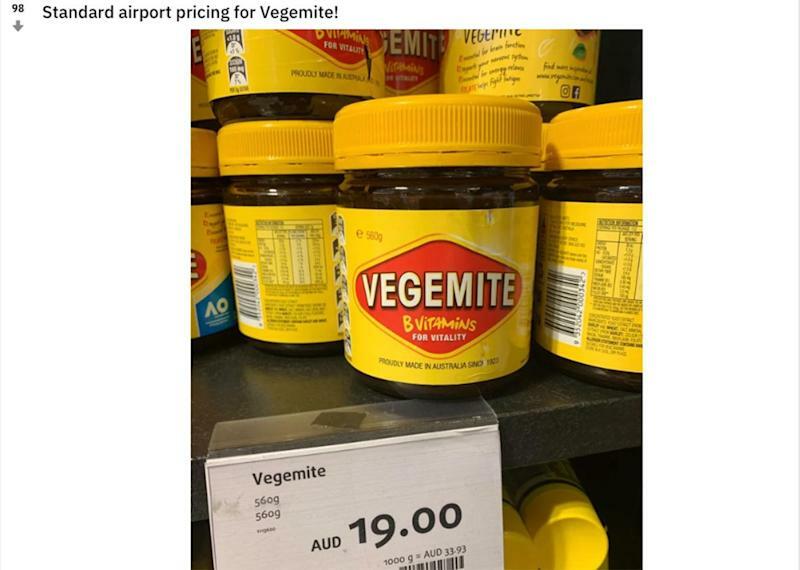 The picture of the spread was shared to Reddit on Sunday with the caption: "Standard airport pricing for Vegemite!" 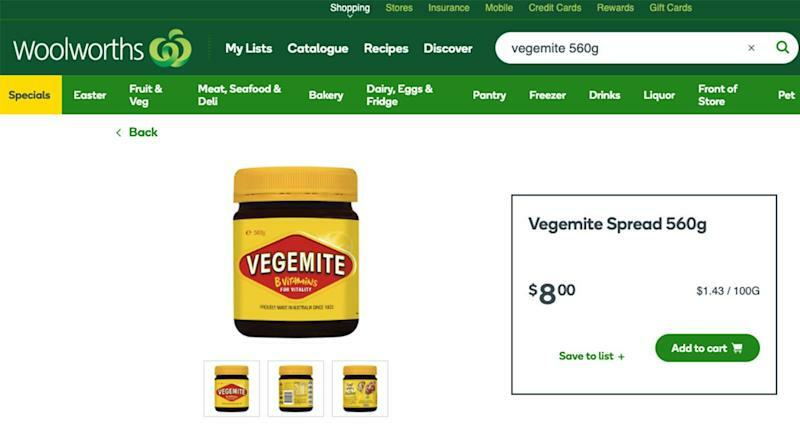 The 560 gram jar of Vegemite can be seen on the shelf with a price tag of $19 - which is more than double the price the same jar is sold in supermarkets. Coles and Woolworths sell the same sized jar for $8. The significant mark-up was slammed by many online, who branded the price a rip off. “This is criminal,” one wrote. “The infamous 'your fault for not ducking up to the shops before your flight' tax,” another commented. A third added: “Airports are some of the most lucrative retail realestate”. Others raised concern about taking the spread on international flights, saying it counts as a liquid, where restrictions applied. “Unless you want to transfer it to 100mL containers, you can't take the jars through security. I know this because I saw someone in front of me have their jar confiscated,” one person wrote. The Australian Competition & Consumer Commission (ACCC) said it did not have the power to regulate food or grocery prices at airports, or anywhere else. “In general, businesses are free to set their own prices as long as they do not breach competition or consumer laws, including making any misleading statements about the reasons or rationale for a price,” the ACCC said in statement to Yahoo News Australia. Sydney Airport has been contacted for comment. The picture has emerged as draft airport inquiry launched by the Productivity Commission has scrutinised the eye-watering fees Australian airports charging motorists to park their cars. The commission found providers were not deliberately using their market power to rip off drivers, but their prices were based on the value passengers place on convenience, the limited amount of land close to terminals, and the need to manage congestion.